Joseph Walter Jackson (July 26, 1928 – June 27, 2018) was an American talent manager and patriarch of the Jackson family of entertainers that includes his children Michael Jackson and Janet Jackson. He was inducted into the Rhythm and Blues Music Hall of Fame as a member of the class of 2014. Joseph Walter Jackson was born to Samuel Jackson (1893–1992), a university professor, and Crystal Lee King (1907–1997), in Fountain Hill, Arkansas, on July 26, 1928 (although, according to the Arkansas Black Hall of Fame and Katherine Jackson’s book, My Family, The Jacksons, the year was 1929). Jackson was the eldest of five children. He was of African and Native American Ancestry. Jackson recalled from early childhood that his father was domineering and strict, and he described himself in his memoir, The Jacksons as a “lonely child that had only few friends”. After his parents separated when he was twelve, his mother, two brothers, and sister moved to East Chicago, Indiana, a suburb outside Chicago in Northwest Indiana, and he moved with his father to Oakland, California. When he was 18, after his father remarried, he moved to East Chicago to live with his mother, two brothers, and sister. He soon got a job in East Chicago at Inland Steel Company, but did not finish high school. While in East Chicago, he began to pursue his dreams of becoming a boxer and found success with the Golden Gloves program. While he was preparing for a professional boxing career, he met 17-year-old Katherine Scruse, who also lived in East Chicago and attended Washington High School; Joe married another woman and in less than a year he was divorced before he started dating Katherine. Joseph and Katherine were married on November 5, 1949. In January 1950, they purchased a small two-bedroom home on 2300 Jackson Street near East Chicago in Gary, Indiana. The Jacksons’ first child, Maureen Reillette “Rebbie” Jackson, was born four months later on May 29, 1950, in the Jackson house. Still employed at Inland Steel, Jackson left his hopes of becoming a professional boxer in order to support his family, and began working there as a full-time crane operator. He later took a second part-time job at American Foundries in East Chicago. In the meantime, his wife Katherine tended to their growing family. Eventually in the late 1950s she started working part-time at Sears in Gary. The Jacksons would go on to have ten children (their son Brandon Jackson died just after he was born). During the early 1950s, Jackson briefly performed with his own blues band The Falcons, playing guitar. Despite their efforts, The Falcons did not get a recording deal and subsequently broke up after one of their members, Thornton “Pookie” Hudson, founded his own band in 1952. That band would go on to become a successful doo-wop group named The Spaniels. Jackson began working with his sons’ musical group in the early 1960s, first working with his three eldest sons, Jackie, Tito and Jermaine. Younger sons Marlon and Michael eventually joined the backing band. Joseph began enforcing long and intense rehearsals for his sons. At first, the group went under The Jackson Brothers. Following the inclusions of Marlon and Michael in the group and Michael’s increased vocal presence within the group, their name was changed to The Jackson 5. After a couple of years performing in talent contests and high school functions, Joseph booked them in more and more respectable venues until they landed a spot at the renowned Apollo Theater in Harlem, New York City. On November 21, 1967, The Jackson 5 were signed by Jackson to their first professional contract with Gordon Keith, owner and first president of Steeltown Records in Gary, Indiana. The group’s first single “Big Boy,” with Michael as the lead singer, was released by Keith on January 31, 1968 on the Steeltown label. “Big Boy” became a local hit and brothers became local celebrities after it was played on radio stations in the Chicago-Gary area. Within the year, Jackson helped to land his sons an audition for Motown Records in Detroit. The Jackson 5 were signed with Motown in March 1969. Jackson later relocated his family to California and supervised every recording session the group made for Motown. The group began to receive nationwide fame after their first single for Motown, “I Want You Back”, hit #1 following its release on October 7, 1969, followed by their first album, Diana Ross Presents The Jackson 5 in December 1969. After the Jackson 5′s first four singles, “I Want You Back” (The Jackson 5, 1969), “ABC” (The Jackson 5, 1970), “The Love You Save” (The Jackson 5, 1970), and “I’ll Be There” (The Jackson 5, 1970) sold 10 million copies in 10 months, setting a world record for sales, it became clear to Jackson that his dream to make his sons the first African-American teenagers to become internationally known recording stars had come true. In 1973, wanting to reassert his control, Jackson had his family, including youngest son Randy, and daughters Rebbie, La Toya and Janet perform at casinos and resorts in Las Vegas, inspired by the success of fellow family act, The Osmonds. Joseph had also formed his own record label, Ivory Tower International Records and signed artists under his management in which they toured internationally with The Jackson 5 as opening acts in 1974. In 1975, the Jackson 5, with the exception of Jermaine, left Motown and signed a lucrative deal with Epic Records. Michael Jackson had brokered a deal where they could eventually produce their own songs, leading to Motown retaining the Jackson 5 name, so they renamed themselves The Jacksons in 1976. In 1978, Joseph’s youngest son, Randy, released his solo single “How Can I Be Sure” on Joseph’s record label. In 1982, Joseph established Janet Jackson’s career at age 16 as a recording artist while managing her. He financed the recording of his daughter’s first demo then, arranged her a recording contract with A&M Records and began recording her debut album, overseen by him. Joseph was alleged to have engaged in a lasting extramarital affair; this prompted Katherine to file for divorce on March 9, 1973 with a Los Angeles County clerk, but she chose to rescind the divorce papers. The following year, Joseph fathered a child with Cheryl Terrell; their daughter, Joh’Vonnie Jackson, was born on August 30, 1974. This led Joseph and Cheryl to a 25-year-long affair while raising their daughter Joh’Vonnie. Katherine attempted once again to divorce her husband in 1982, but again was persuaded to drop the action. Joseph then moved away to Las Vegas, with Katherine remaining at the Jackson family home Hayvenhurst in Encino, California. Despite living separately, Katherine and Joe remained officially married until his death; Katherine denied the rumours that she and Joseph were estranged. Despite the abuse allegations, Michael honored his father with an annual “Joseph Jackson Day” at Neverland Ranch and ultimately forgave him, noting that Joseph’s deep-South upbringing during the Great Depression and the Jim Crow years and working-class adulthood hardened him emotionally and made him push his children to succeed as entertainers. Both Joe and Katherine have denied the characterization of abuse. Katherine has said that while the whippings may be viewed as abuse by current generations, such methods were normal ways to discipline children for misbehavior in those days. Other siblings, Jackie, Tito, Jermaine and Marlon, have denied that their father had been abusive. Some of Jackson’s sons went on to be at the center of various abuse cases, with Randy being charged with beating his wife and daughter. Joseph Jackson was portrayed by Lawrence Hilton-Jacobs in the mini-series The Jacksons: An American Dream, and by Frederic Tucker in the 2004 VH1 biopic Man in the Mirror: The Michael Jackson Story. In 2011, Jackson was inducted into the Arkansas Black Hall of Fame. In 2014, Jackson accepted the award on behalf of his son Michael, when he was inducted into the Rhythm & Blues Music Hall of Fame with a Lifetime Achievement Award. The following year he was awarded The Rhythm & Blues 2015 Humanitarian Award. In June 2015, Jackson appeared at the BET Awards 2015 with daughter Janet Jackson as she accepted the Ultimate Icon Award. On July 27, 2015, Jackson was rushed into a hospital after a stroke and heart arrhythmia while celebrating his 87th birthday in Brazil. He was not stable enough to fly out of the country for further treatment until two weeks later. Upon his arrival to Los Angeles, California on August 11, he was treated at the Cedars-Sinai Medical Center to correct his blurred vision following the stroke. In January 2017, Jackson’s brother Lawrence died. On June 22, 2018, TMZ reported that Jackson was hospitalized in Las Vegas in the final stages of terminal pancreatic cancer. He died at a hospice in Las Vegas on June 27 at the age of 89. ^ Jump up to: a b Leovy, Jill (June 27, 2018). “Joe Jackson, patriarch of musical family of pop stars, dies at 89″. Los Angeles Times. Jump up ^ “Arkansas Black Hall of Fame”. Arblackhalloffame.org. Retrieved October 24, 2016. Jump up ^ “JETZI : My Family, The Jacksons”. Jetzi-mjvideo.com. Retrieved October 24, 2016. Jump up ^ Schilling, Vincent. “Michael Jackson & Rosa Parks: 10 Black People With Native Ancestry”. indiancountrymedianetwork.com. Retrieved December 7, 2017. ^ Jump up to: a b c d e f g h i j k l m n o Jackson, Katherine; Rich Wiseman (1990). My Family, the Jacksons. St. Martin’s Paperbacks. ISBN 0-312-92350-3. Jump up ^ “Starting a Family”. Biography.com. Retrieved October 24, 2016. ^ Jump up to: a b c d e f g “History 60-68 – The Jacksons – The Official Website”. thejacksons.com. Retrieved October 24, 2016. Jump up ^ “Jackson 5 and Johnny |”. Indiana45s.com. August 28, 2010. Retrieved June 20, 2015. Jump up ^ “Commercial Success”. Biography.com. Retrieved October 24, 2016. Jump up ^ “Steeltown Records – Indiana Local Labels”. 45rpmrecords.com. November 4, 2007. Retrieved October 24, 2016. Jump up ^ “Big Boy 40 Jackson 5″. Jackson5abc.com. Retrieved October 24, 2016. Jump up ^ “Tito Jackson Official Website – Tito Jackson Official Website”. titojackson.com. Retrieved October 24, 2016. ^ Jump up to: a b “History 1969 – The Jacksons – The Official Website”. thejacksons.com. Retrieved October 24, 2016. Jump up ^ “History 1974 – The Jacksons – The Official Website”. thejacksons.com. Retrieved October 24, 2016. Jump up ^ “Jet”. Johnson Publishing Company. June 6, 1974. Retrieved October 24, 2016 – via Google Books. Jump up ^ “Jackson 5 (and solo work)”. warr.org. Retrieved October 24, 2016. Jump up ^ “Randy Jackson – How Can I Be Sure”. discogs.com. Retrieved October 24, 2016. ^ Jump up to: a b Cornwell, Jane (2002). Janet Jackson. Carlton Books. pp. 2, 10, 24. ISBN 1-84222-464-6. Jump up ^ Friedman, Roger (October 29, 2004). “Jacko’s Family Secrets Revealed”. foxnews.com. Retrieved October 24, 2016. Jump up ^ Parry, Ryan (September 14, 2009). “Michael Jackson’s secret sister JohVonnie reveals her pain at being shunned by half-siblings”. mirror.co.uk. Retrieved October 24, 2016. Jump up ^ “Exclusive Look Inside Jackson Compound”. go.com. July 14, 2009. Retrieved October 24, 2016. Jump up ^ Dimond, Diane (December 3, 2012). “Joe Jackson’s Life as a Family Pariah”. thedailybeast.com. Retrieved October 24, 2016. Jump up ^ “Michael Jackson’s mom talks about motherhood, family”. Cnn.com. Retrieved October 24, 2016. Jump up ^ “Katherine Jackson Speaks To Geraldo Rivera 8/2/09″. YouTube.com. August 2, 2009. Retrieved June 20, 2015. Jump up ^ “Joe Jackson’s Children: How Many Kids Does He Have?”. Heavy.com. June 27, 2018. Retrieved June 27, 2018. Jump up ^ Khan, Urmee (September 14, 2009). “Michael Jackson’s secret sister JohVonnie Jackson says she was ‘rejected’”. The Daily Telegraph. London. Jump up ^ “Michael Jackson’s Secret Childhood”. VH1. Archived from the original on September 15, 2008. Retrieved June 20, 2008. Jump up ^ Campbell, Lisa (1995). Michael Jackson: The King of Pop’s Darkest Hour. Branden. pp. 14–16. ISBN 0-8283-2003-9. Jump up ^ Lewis, Jel (2005). Michael Jackson, the King of Pop: The Big Picture: the Music! the Man! the Legend! the Interviews!. Amber Books Publishing. pp. 165–168. ISBN 0-9749779-0-X. Jump up ^ “Singer Jackson whipped by father”. BBC News. November 13, 2003. Retrieved May 6, 2010. Jump up ^ Jackson, Michael. “Heal the Kids.” Speech at the Oxford Union, March 2001. Jump up ^ Katherine Jackson: Michael’s strict upbringing not abuse (video). CNN. May 15, 2012. Retrieved May 31, 2015. Jump up ^ Friedman, Roger (February 7, 2003). “Michael Jackson’s Unacceptable Behavior Revealed”. Fox News Channel. Retrieved May 31, 2015. Jump up ^ Duke, Alan (July 21, 2009). “Joe Jackson denies abusing Michael” (Press release). CNN. Retrieved May 31, 2015. Jump up ^ “Jackson Brothers: Was Joe Jackson Abusive?”. Yahoo! Celebrity. Archived from the original on May 22, 2015. Retrieved May 31, 2015. Jump up ^ “Jackie Jackson denies father Joe abused brother Michael – TV3 Xposé”. Jump up ^ “Randy Jackson Gets Jail For Beating Wife, Daughter”. orlandosentinel.com. Retrieved December 7, 2017. Jump up ^ “The Jacksons: An American Dream”. January 1, 2000. Retrieved October 24, 2016 – via IMDb. Jump up ^ “Man in the Mirror: The Michael Jackson Story”. August 6, 2004. Retrieved October 24, 2016 – via IMDb. Jump up ^ “J – Arkansas Black Hall of Fame”. arblackhalloffame.org. Retrieved October 24, 2016. ^ Jump up to: a b “Inductees”. rhythmandblueshof.com. March 25, 2014. Retrieved October 24, 2016. Jump up ^ “No Sleeep! Janet Jackson Receives Ultimate Icon Award: Watch”. usmagazine.com. Retrieved October 24, 2016. Jump up ^ Onyanga-Omara, Jane (July 27, 2015). “Joseph Jackson admitted to hospital after stroke”. USA Today. Retrieved October 24, 2016. Jump up ^ “Joe Jackson — Finally Home After Brazilian Health Scare (PHOTOS)”. tmz.com. August 11, 2015. Retrieved October 24, 2016. Jump up ^ Howansky, Angel (January 15, 2017). “Rest in Peace Lawrence Jackson”. .jwjackson.com. Jump up ^ “Joe Jackson Hospitalized with Terminal Cancer”. www.tmz.com. I didn’t know Jimmy had died I found out on Father’s Day while on Facebook. While going through the posts for Father’s Day. His death shock me because I know him to be fit and in good shape. I felt bad hearing the news about his death, because I haven’t been in touch over the past three years I was recovering from an illness. I still don’t know the circumstances of his passing, but I wish wife, his daughter and the rest of his family deepest condolences. 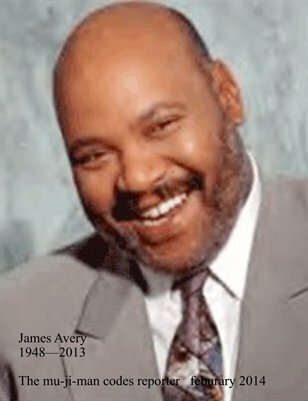 He was a kind and considerate person and would be missed. 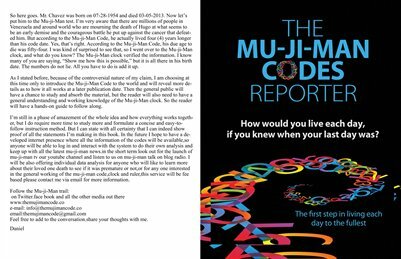 I hope that the following Mu-ji-man Codes will bring some peace and closure. It is always sad to hear of the death of A famous celebrity like Anthony Bourdain, especially the manner in which he died.Here at the mu-ji-man Codes we will like to wish his daughter,and other remaining members of his family deep condolences ,and to share this with the family hopefully,it will bring some peace and make some sense of his sudden departure. THE MU-JI-MAN CODES FOR ANTHONY BOURDAIN ARE AS FOLLOWS. CODED AGE: 62 DEATH AGE 61(he would have been celebrating his 62nd birthday on the 25 of this month)THE FOLLOWING IS HIS COMPLETE CODES: 3779 4615086574938153263919542762312691532143124513 ( 2) . Katherine Noel Brosnahan (December 24, 1962 – June 5, 2018), known professionally as Katy Brosnahan, later Kate Spade and Kate Valentine, was an American fashion designer and businesswoman. She was the founder and former co-owner of the designer brand Kate Spade New York. After working in the accessories department at the fashion magazine Mademoiselle, Brosnahan and her husband Andy Spade founded the business in 1993, identifying a market for quality stylish handbags. The handbags that she designed and produced quickly became popular due to their sophistication and affordability; they have been described as a symbol of 1990s New York City. The company expanded into other product lines. In 1999, she sold a 56 percent stake in Kate Spade New York to Neiman Marcus Group; in 2006 she sold the rest of her shares. In 2016, she and partners launched a new fashion brand called Frances Valentine. Spade was born in Kansas City, Missouri, the daughter of June (Mullen) and Earl Francis Brosnahan, who owned a road construction company. Her ancestry was mostly Irish. After graduating from St. Teresa’s Academy, an all-girl Catholic high school, she attended the University of Kansas. Later she transferred to Arizona State University, where she joined Kappa Kappa Gamma, and graduated with a journalism degree in 1985. Fashion was a love, she recalled later, but not an obsession. Her original goal was to become a television producer, and she cited the example of Holly Hunter‘s character in the 1987 film Broadcast News as her inspiration. In 1986, Spade worked in the accessories department at Mademoiselle magainze in Manhattan, where she was credited by her maiden name, Katy Brosnahan. While at Mademoiselle, she started living with Andy Spade, a native of Scottsdale, Arizona. The two had worked side-by-side as salespeople in a men’s clothing store, Carter’s Men Shop, back when Spade was still in Phoenix. She left Mademoiselle in 1991, with the title of Senior Fashion Editor/Head of Accessories. While working for Mademoiselle, she had noticed that the market lacked stylish and sensible handbags, and decided to create her own. Kate and Andy Spade launched the New York–based design company kate spade handbags in January 1993. “I wanted a functional bag that was sophisticated and had some style,” Spade would later recall. She made six prototypes with Scotch tape and paper, and found a manufacturer in East New York willing to work with a startup to turn them into actual bags. To finance the company, Andy, who had worked as a copywriter, withdrew his 401(k) pension plan, and sometimes paid employees with personal checks. The couple spent their shipping season[jargon] living at friends’ apartments since their own was filled with boxed handbags. Kate was undecided as to what name to give the company, because she and Spade had not yet married, and “Kate Brosnahan” did not sound like an ideal name for a fashion label. She considered a number of names names, but agreed when Andy suggested “Kate Spade”—a combination of their names that he found euphonious. After an early show[jargon] at the Javits Center at which the department-store chain Barneys ordered a few bags, Kate decided to put the bag’s labels on the outside, a change that took her all night to make but established the brand. Young American women at the time also liked the sophisticated look. One woman recalled to Sarah Maslin Nir in The New York Times later that the Kate Spade bags looked mature, without being too adult for a teenager as a Burberry bag would have been seen. “At the turn of the last century,” Nir wrote, “her bag came to encapsulate a decidedly Manhattan moment in time,” a moment when Vogue editor Anna Wintour recalled that it was impossible to walk a block in the city without seeing one. The company sold mainly handbags at first, but soon extended to clothing, jewelry, shoes, stationery, eyewear, baby items, fragrances, tabletop, bedding and gifts. In 1996, the Kate Spade brand opened its first boutique, a 400-square-foot (37 m2) shop located in Manhattan’s trendy SoHo district, and moved its headquarters into a 10,000-square-foot (930 m2) space in West 25th Street. In 2004, “Kate Spade at home” was launched as a home collection brand. It featured bedding, bath items, china, wallpaper and various items for the home. Later in 2004, Spade also published three books on the subjects of etiquette, entertainment, and fashion—Manners, Occasions, and Style. That same year, a Kate Spade store was opened in Aoyama, Tokyo in Japan. Neiman Marcus Group purchased 56 percent of the Kate Spade brand in 1999, and the remaining 44 percent in 2006. The Group sold the label in 2006 to Liz Claiborne Inc., for $124 million; it was later renamed Fifth & Pacific. The company was purchased by Coach, Inc. in May 2017; both Coach and Kate Spade are now part of Tapestry, Inc.
After selling the remaining portion of her ownership stake in the Kate Spade brand in 2006, Spade took time off to raise her daughter. In 2016, she and her business partners launched a new collection of luxury footwear and handbags under the brand name Frances Valentine. The name Frances is a family name on Spade’s paternal side; her daughter is named Frances, as were her grandfather, father, and brother. “Valentine” came from Spade’s maternal side; it was her grandfather’s middle name, given because he was born on Valentine’s Day. In 2016, Spade legally changed her surname to Valentine. Spade married Andy Spade, the brother of actor/comedian David Spade, in 1994. The couple had one child, Frances Beatrix Spade, born in 2005. The actress Rachel Brosnahan is Spade’s niece. A housekeeper found Spade dead in her Manhattan apartment on June 5, 2018. Her death was ruled a suicide by hanging. Police reported that she had left a note addressed to her daughter. The day after her death, Andy Spade released a statement regarding his wife’s death and the fact that she had suffered from depression and anxiety. After Spade’s death, her sister, Reta Saffo, told the media her suicide was “not unexpected”. She believed Kate had suffered from bipolar disorder throughout her life, aggravated by the fame and wealth she achieved in her 30s. On several occasions she had tried to convince her sister to get treatment, but Kate feared the stigma of mental illness would hurt her brand. Saffo suspected her sister had been contemplating suicide since actor Robin Williams hanged himself in 2014, media coverage of which, she claimed, captivated Kate. The last time the two had talked, she said, Kate had asked her to come to her funeral even though she knew Saffo did not like going to those events. She insisted to Saffo that she was not considering suicide. The rest of the family, who have not been close to Saffo for a decade, disputed this characterization. A source close to them told NBC News that they were “disgusted and saddened” at Saffo’s remarks. “Her statement paints a picture of someone who did not know [Kate] at all.” Kate’s older brother Earl Brosnahan did allow that Kate had been the only one in the family who still spoke to Saffo, but only “sporadically”. He nevertheless called Saffo’s accounts “grossly inaccurate”. Elyce Arons, one of her business partners, also recalled to The New York Times that she had on several occasions heard Spade say that she “would never do that” when news broke of a celebrity’s suicide. Flowers were left in piles outside the Kate Spade New York store on Madison Avenue. The store itself posted a sign in the front window noting her death as the founder of the brand. It read “We honor all the beauty she brought into the world”. On Twitter, many women recalled the Kate Spade bags of their younger years. Chelsea Clinton observed that she still had the one her grandmother had given her to take to college. The designer “encouraged women to find the twinkly person inside them”, said actress Mindy Kaling. “You couldn’t walk into her boutiques and not smile.” Ivanka Trump said Spade’s death was a “painful reminder that we never truly know another’s pain or the burden they carry” and urged her readers to reach out and help anyone else they might know who was similarly suffering. Tributes also came from within the fashion industry. “Kate Spade had an enviable gift for understanding exactly what women the world over wanted to carry,” recalled Anna Wintour. “She knew what the fashion world needed before we did,” said Joe Zee, former creative director for Elle. In 1996, the CFDA awarded Spade “America’s New Fashion Talent in Accessories” for her classic designs. In 1998, the organization again honored her for “Best Accessory Designer of the Year”. Her home collection won her three design awards in 2004, including, House Beautiful‘s “Giants of Design Award for Tastemaker”, Bon Appétit‘s “American Food and Entertaining Award for Designer of the Year”, and Elle Decor‘s “Elle Decor International Design Award for Bedding”. In 2017, she was inducted into the Entrepreneur Hall of Fame at the Henry W. Bloch School of Management at the University of Missouri, Kansas City. Also in 2017, she was named one of the Most Creative People in Business by Fast Company. Kapner, Suzanne (August 23, 2016). “When Is Kate Spade Not Kate Spade? When She’s Frances Valentine”. The Wall Street Journal. Retrieved December 24, 2016. one of her first acts was to find a new name. Now, she’s Katherine Noel Frances Valentine Brosnahan. In stores, she’s Frances Valentine. “Kate & Andy Spade Interview on How I Built This by Guy Raz”. NPR. Ana Colon. “Designer Kate Spade Name Change Frances Valentine”. Refinery29.com. Retrieved June 22, 2017. “Neiman Marcus to Sell Kate Spade”. The Wall Street Journal. New York City. November 8, 2006. Retrieved December 24, 2016. “Irish American fashion designer Kate Spade dead of apparent suicide”. Irish Central. June 5, 2018. Retrieved June 5, 2018. Three of her great-grandparents were Irish emigrants. Bumiller, Elisabeth (March 12, 1999). “Public Lives; A Cautious Rise to a Top Name in Fashion”. The New York Times. Retrieved June 6, 2018. Spragins, Ellyn; Spade, Kate; Spade, Andy (September 1, 2013). “How We Bagged Our Careers”. CNN Money. Retrieved June 7, 2018. Bromwich, Jonah Engel; Friedman, Vanessa; Schneier, Matthew (June 5, 2018). “Kate Spade, American Designer Whose Bags Carried Women Into Adulthood, Is Dead at 55″. The New York Times. Retrieved June 5, 2018. Lieber, Chavie (March 2, 2016). “Kate Spade Brand Bags”. Racked.com. Retrieved June 22, 2017. “Kate Spade Biography”. Biography.com. Retrieved June 5, 2018. Associated Press (June 5, 2018). “Spade Remembered as Vibrant and Colorful, Like Her Creations”. The New York Times. Retrieved June 7, 2018. Nir, Sarah Maslin (June 5, 2018). “It Was the ’90s. And Kate Spade’s Bag Was It”. The New York Times. Retrieved June 7, 2018. Reference for Business. retrieved May 15, 2015. “Kate Spade Announces the Launch of kate spade Home; Company Signs Licensing Agreements with Scalamandre Lenox, And Springs”. “Kate Spade”. Simon & Schuster. Retrieved June 7, 2018. Zeigler, Beth (August 29, 2008). “Manners, Style and Occasions: Etiquette Books By Kate Spade”. Apartment Therapy. Retrieved June 7, 2018. Abbey, Cherie D., ed. (2007). Biography today : profiles of people of interest to young readers. Detroit, Mich.: Omnigraphics. p. 137–140. ISBN 078080970X. “Kate Spade Seems Totally Detached From Her Multimillion Dollar Namesake Brand”. Business Insider. Retrieved June 9, 2016. Gensler, Lauren. “Coach Is Buying Kate Spade For $2.4 Billion”. Forbes. Retrieved 2017-05-19. “Meet Kate & Andy Spade’s New Venture, Frances Valentine”. Fast Company. August 8, 2016. Retrieved June 15, 2017. Ana Colon. “Designer Kate Spade Is So Committed To Her New Brand, She Changed Her Name”. Refinery29.com. Retrieved June 22, 2017. “Kate Spade’s Frances Valentine collection was named after late designer’s daughter”. Newsweek. June 5, 2018. Retrieved June 7, 2018. Schmidt, Ingrid (October 13, 2015). “Rachel Brosnahan of ‘Manhattan’ undertakes her own special fashion project”. Los Angeles Times. Retrieved March 15, 2017. Bromwich, Jonah Engel; Friedman, Vanessa; Schneier, Matthew (June 5, 2018). “Kate Spade, Whose Handbags Carried Women Into Adulthood, Is Dead at 55″. New York Times. Retrieved June 5, 2018. Carras, Christi (June 6, 2018). “Kate Spade’s Husband Issues Statement: She ‘Suffered From Depression and Anxiety’”. Variety. Retrieved June 6, 2018. “Kate Spade suffered years of mental illness, sister says. Suicide ‘not unexpected’”. Kansas City Star. June 5, 2018. Retrieved June 6, 2018. “‘It Finally Took Its Toll’: Kate Spade’s Sister Alleges Longtime Struggle After Fashion Icon’s Apparent NYC Suicide”. WNBC-TV. June 6, 2018. Retrieved June 6, 2018. Friedman, Vanessa (June 6, 2018). “Kate Spade’s Death: ‘There Was No Indication and No Warning,’ Says Her Husband”. The New York Times. Retrieved June 6, 2018. Freeman, Vanessa; Safronova, Valeriya (June 6, 2018). “Why Kate Spade Felt Like a Friend”. The New York Times. Retrieved June 8, 2018. Safronova, Valeriya; Nikas, Joanna (June 5, 2018). “My ‘First Grown-up’ Handbag: Kate Spade Fans React”. The New York Times. Retrieved June 8, 2018. Gundry, Lisa; Kickul, Jill. Entrepreneurship Strategy: Changing Patterns in New Venture Creation, Growth, and Reinvention. SAGE Publications. ISBN 9781483316857. “Honoring Role Models” (Press release). UMKC Today. March 6, 2017. Retrieved March 11, 2017. “Check out Kate Valentine, one of Fast Company’s Most Creative People”. Fast Company. January 22, 2017. Retrieved June 22, 2017.